Thomas Goodrich is the New Mexico Music Commission Administrator. He holds a Bachelor of Music Education from Ohio State and a Master of Music in Viola Performance from the Mannes College of Music. His primary teachers are Karen Ritscher, John Graham, and Dr. Robert Gillespie. Thomas has garnered over fifteen years experience as a music educator. Highlights include Director of Orchestras at Denver School of the Arts, Orchestra teacher at La Cueva High School in Albuquerque, and conductor with the Albuquerque Youth Symphony Program. As a violist, he has performed with the Santa Fe Symphony, Breckenridge Music Institute, and the New York Chamber Ensemble, among others. He is currently Adjunct Professor of Strings at Santa Fe University of Art and Design and is active throughout the state as a conductor, clinician, and adjudicator. As an administrator, Thomas has served as Production Manager for Music From Angel Fire, Director of Adult Education at the former TVI Community College, and Technology Training Coverage Officer for Morgan Stanley. He lives partially off the grid in the beautiful Mora river valley where he grows much of his own food. 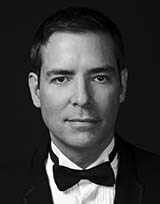 Thomas joined the New Mexico Arts team in February 2015.